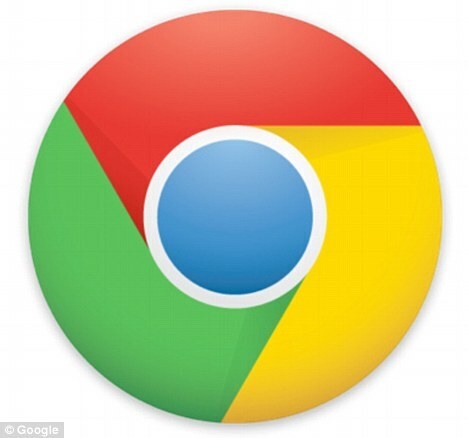 Google’s Chrome became the world’s number one web browser, but only for one day. Aodhan Cullen, CEO of Statcounter said, "While it is only one day, this is a milestone”. Internet Explorer has been the world’s most popular web browser since 1999. It is not easy to overtake the world’s most popular browser. According to Statcounter’s report Chrome was used for 32.7% of all browsing, while explorer had 32.2% share, however this happened only for one day on 18th March 2012. 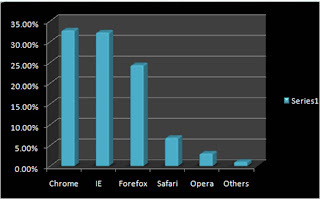 The next day when people went to their office, the Chrome had slipped to 30 percent share while IE had 35 percent. Statcounter’s Web analytics team informed statistics showing that Chrome topped the polls in Russia, Brazil and India, all of which contributed to it becoming the number one browser for the day. Chrome still faces a battle to defeat its main enemy (IE & Firefox) in many regions. Chrome remains on second or third place in USA, Germany and China.